Supersolver has been reliably and accurately creating all our consulting valuations since 2003. Step by step wizards guide the user to the right formula. A short series of questions leads to the identification of the relevant formula. 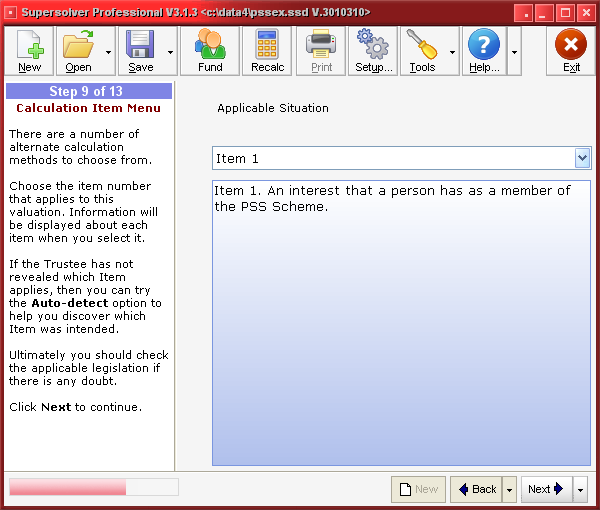 Then the user is prompted step-by-step for the required information, supported at every stage by comprehensive explanations, help and examples. Every calculation, source and precedent is detailed. Every aspect of the calculation is detailed - all the data inputs are listed, formulas and calculation steps detailed, tables cross referenced to the exact page and line of the Regulations, and excerpts of the relevant legislation included. Reduces the risk of errors. 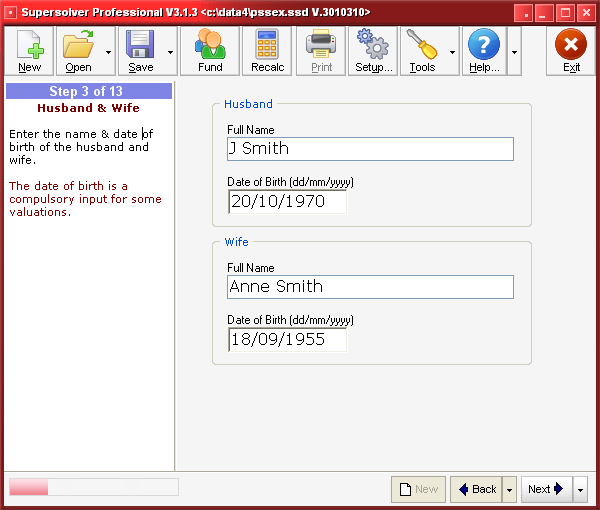 SuperSolver guides the user to enter the right information, reduces the chance of input errors by looking up the tables and doing the maths, and warns the user if a figure is not valid or is not consistent with other information. Helps you provide a service that you can profit from whilst remaining cost efficient for your clients. Reports can be performed in house at low cost and thus you can afford to perform and be paid for valuations that you would otherwise have to brief out. SuperSolver has been developed by a practising barrister who is an IT expert, so the legal and IT issues have been seamlessly integrated. This also means that you can pose your questions and comments to a professional colleague on all aspects of the software. Handles specially-approved funds as well as regular ones. 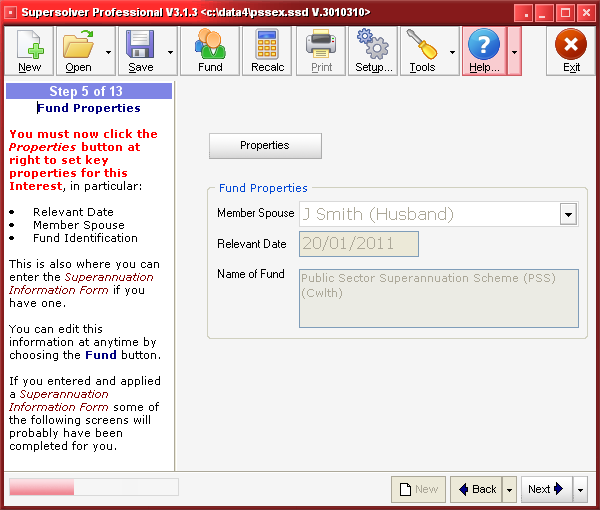 What makes SuperSolver so easy to use? 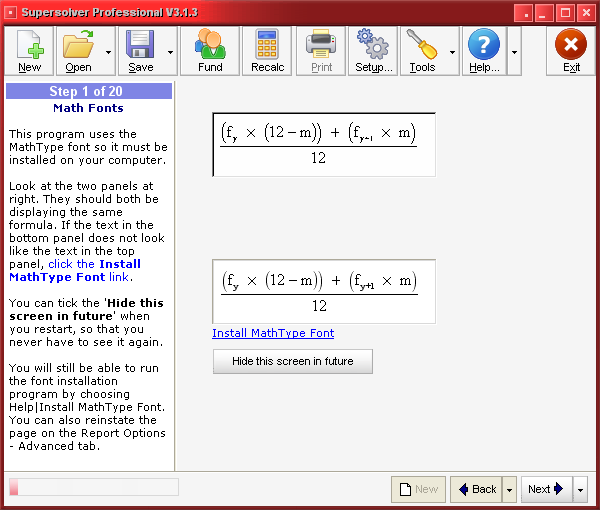 SuperSolver works by asking the user a short series of questions to determine the relevant formula. The user does not need to know which formula to use and needs only minimal knowledge of the laws. One question is asked at a time and is explained fully with links to further help screens if needed. Each answer leads to the next most logical question until the relevant formula is detected. What if there is no formula or applicable splitting provision? Don't worry, SuperSolver will generate explanatory reports and guides for situations in which it has detected super splitting valuations do not apply or there is no formula. 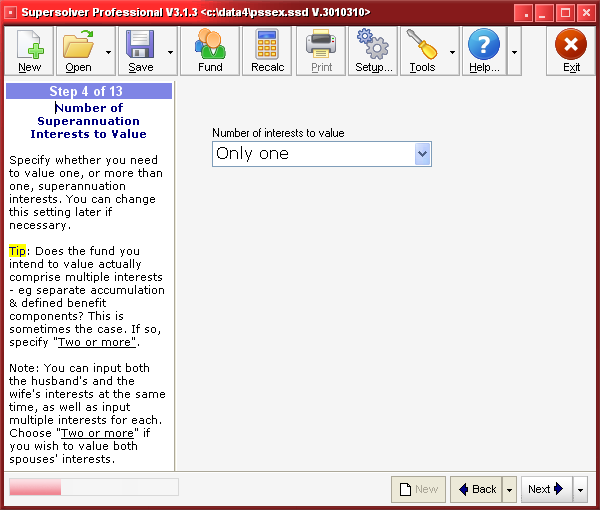 The user is then prompted to supply the value of each necessary parameter. 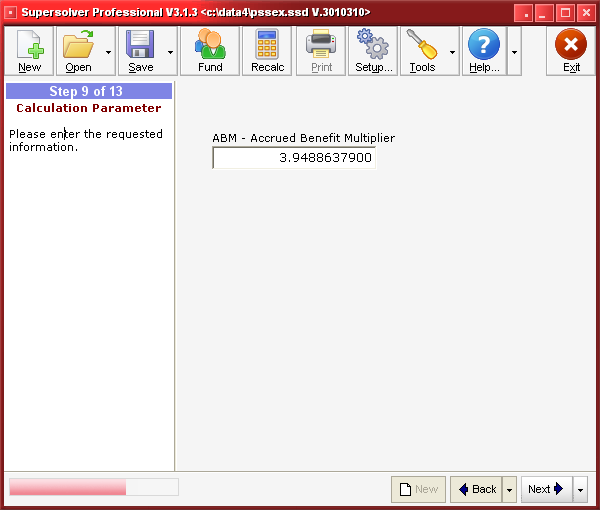 Step by step the user is prompted for each required piece of information (parameters) for the detected formula. Each parameter is explained fully and the relevant legislation is identified and displayed for verification. At every step there are data-input checks - if a figure is not valid or is not consistent with other information, the user is warned and an explanation given as to why the information might be incorrect. 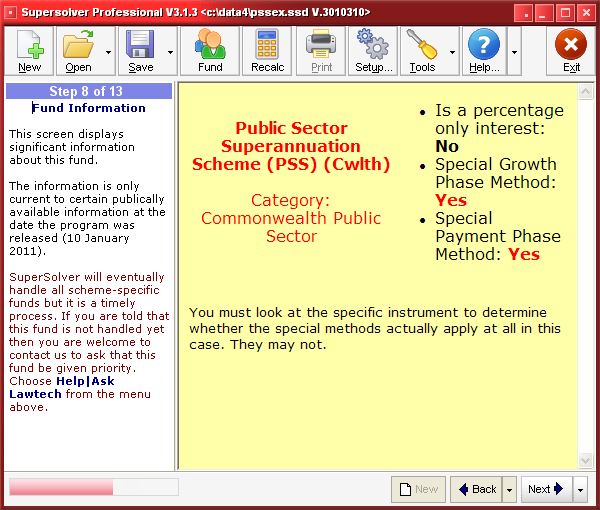 SuperSolver performs all the routine error-prone, time-consuming work - it looks up Regulation tables for you and performs the math, removing the chance of accidentally entering the wrong information from a table or making a calculation error. For example, even if you do everything else right, it is still possible to misread a factor of '11.0913' in the Regulations as '11.9013', or add $335,500 + $100,000 instead of $355,500 + $100,000, causing significant yet easy to miss errors which you might end up paying for personally. SuperSolver helps you to lower the risk. Far from abdicating professional and legal responsibility to a machine, SuperSolver’s step-by-step process and detailed reports quickly teach you about the valuation process thus strengthening your professional expertise. 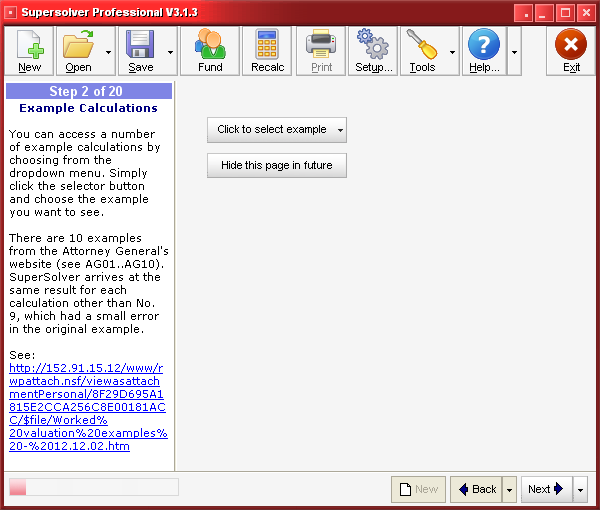 SuperSolver then calculates and generates a report. SuperSolver produces an attractive, easy to read report detailing every aspect of the calculation, exposing all the data inputs and how they've been used. 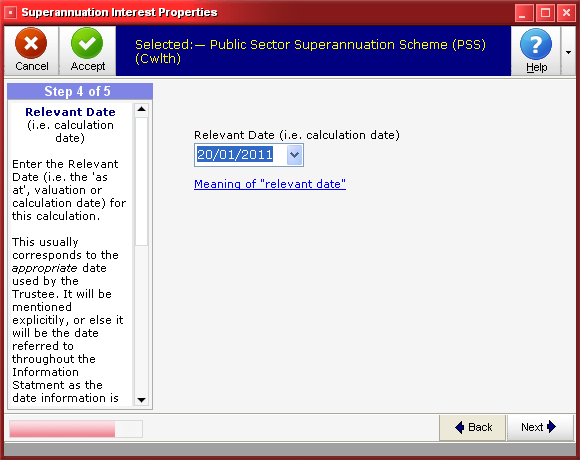 All inputs are listed, all formulas and calculation steps detailed, tables are cross referenced to the exact page and line of the Regulations, and excerpts of the relevant legislation are included. All this detail allows you to independently check the results. 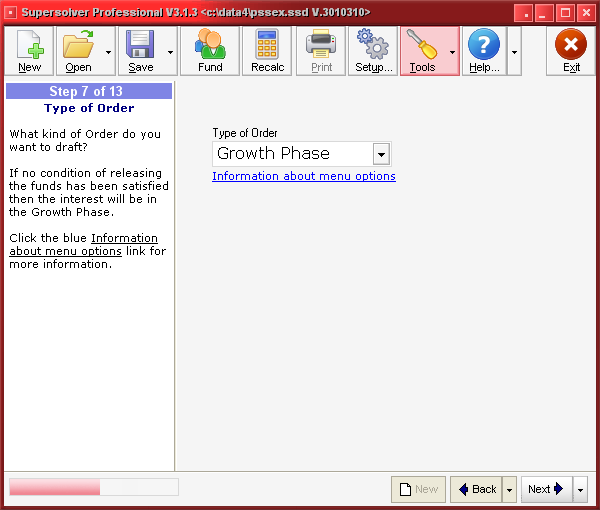 You can then optionally modify and customise the report. 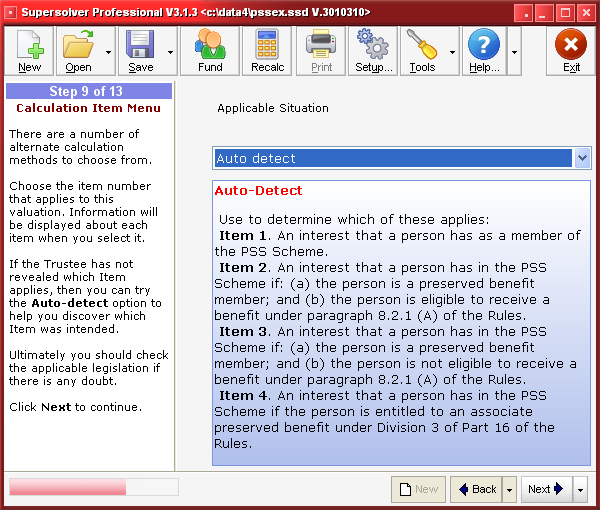 Once you have your own copy safely loaded on your own computer you can store calculations for The report can be saved on your computer for your records and convenience, and can edited in your favourite word processor - allowing you to print reports on your own letterhead or incorporate into a longer advice or reasons for judgment. There are comprehensive explanations and help at every step of the way, and calculations from the Attorney General's Department and other sources are provided as examples. 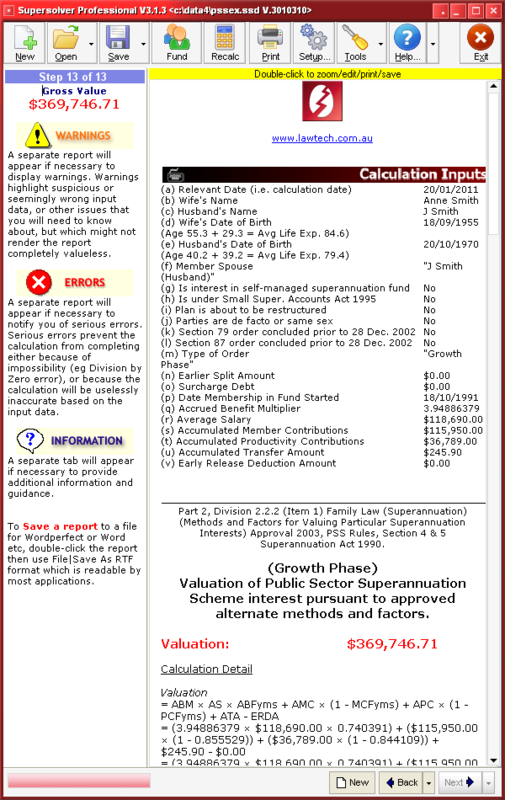 However some calculations are more complex than others and there are some situations where super splitting valuations do not apply, in this case SuperSolver provides explanatory reports and guides. Lawtech also provides a valuation service. 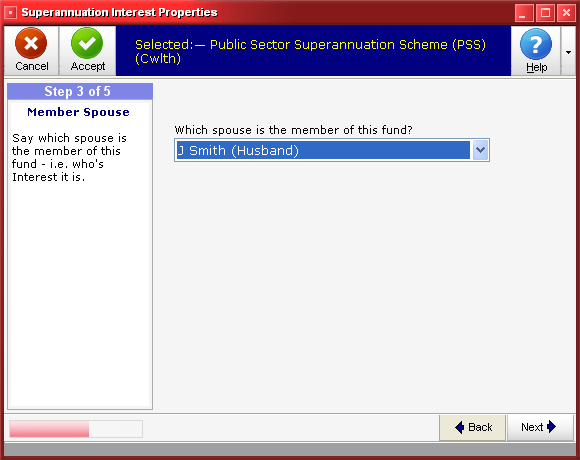 Take a look at Family Law Superannuation Valuations for further information. Provide a service that you can profit from whilst remaining cost efficient for your clients. 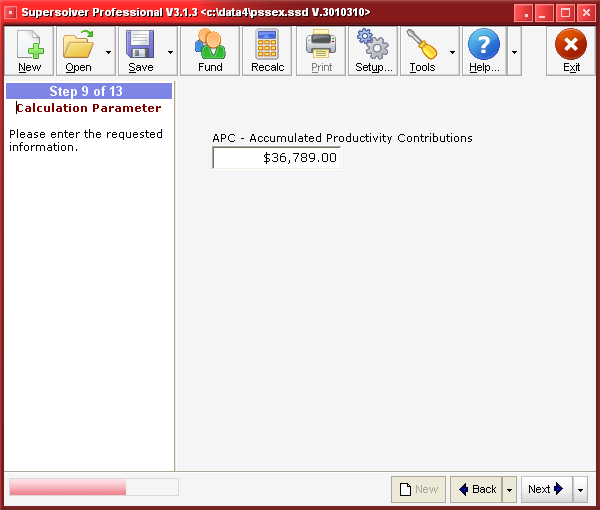 Most calculations can be performed in house at low cost, the saving can be passed on to client. Busy solicitors can earn more fees in less time by rapidly performing work they may otherwise have to brief out, while reducing client costs. 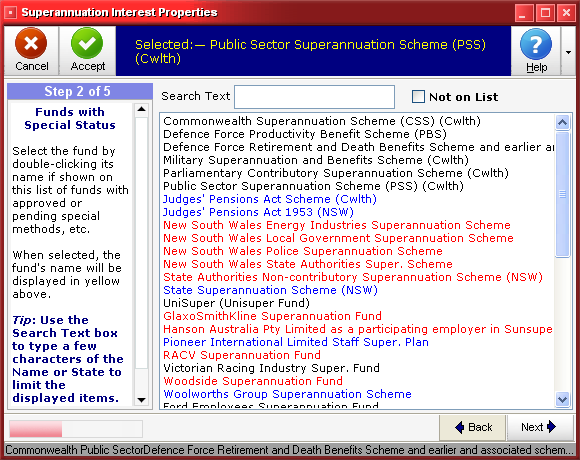 They can respond faster to client and court needs and rapidly identify any further instructions that will be needed from the client or superannuation trustee. 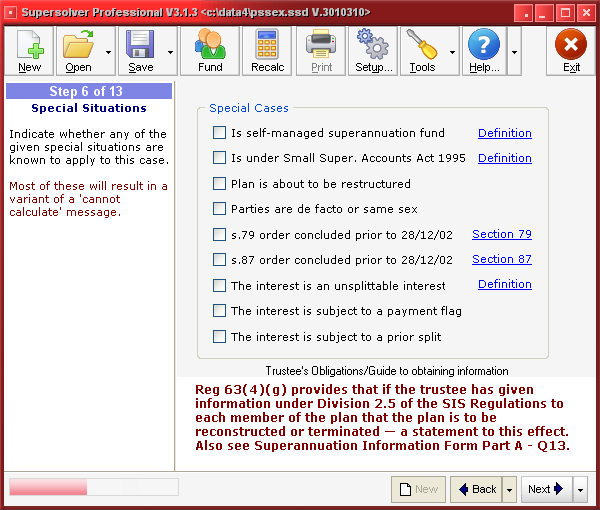 SuperSolver is written by a practising barrister also expert in IT. Be confident that the legal and IT issues have been seamlessly integrated. This also means that you can pose your questions and comments to a professional colleague on all aspects of the software, rather than to a third-party non-lawyer for the IT parts, someone else for the legal parts. Includes worked examples from the Attorney General's Department. - and other public sources - so you can see that the valuations are the same. Updates are included for the life of your licence. User feedback is welcomed and encouraged for continuous improvement and value to your professional sector. 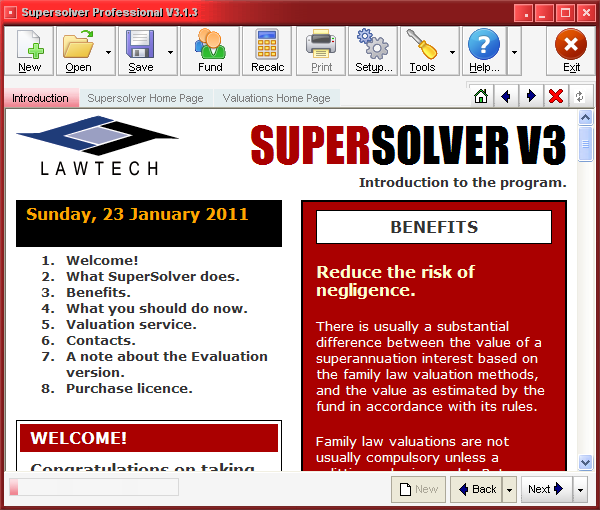 Download a trial version of SuperSolver today. 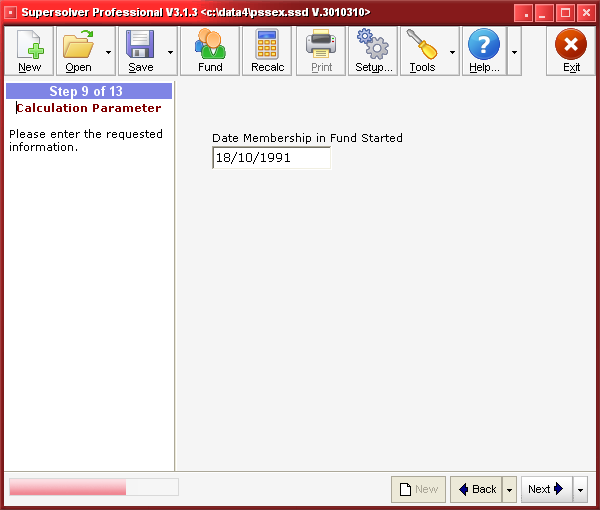 Find out how to purchase SuperSolver. Find out about specially-approved funds. Find out more about our Family Law interest valuation service. Still haven't got the information you want? Contact us. As a user, you simply insert the information requested on each screen, and before you know it you have a detailed calculation with no error or difficulty at all. You've just saved your client hundreds of dollars and of course, you are entitled to charge for the service.